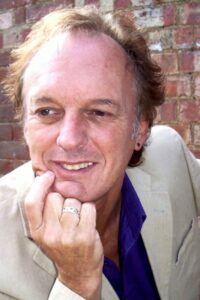 Neil Beardmore is a multi-talented dramatist, poet, musician, photographer and artist. He is a winner of The Sussex Playwrights Prize, the Richard Burton Poetry Prize and his play, Pristine in Blue was staged at the Milton Keynes Festival. 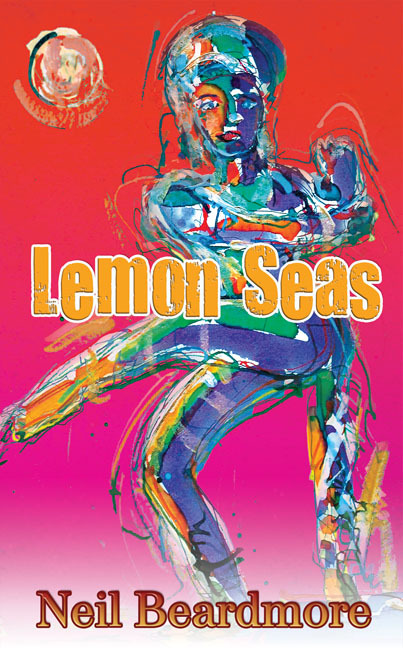 Recently his debut novel Lemon Seas, set in India, was published. As Neil also has paintings and a second major play set in the country, I asked him to write about his creative relationship with India. ‘Is it just a love of the bustle, the movement, the sense of change in the air that makes me want to write about India? Or is it the colours, the vegetarian food, the fabrics, the classical dance, the friendly faces, the sense of spiritual history? Is it because my Punjabi wife Ashra opened the doors to the country for me? Of course, it’s all of that and much more. Way back in time Alexander used his Greek army to wipe his way across what is now Syria and Afghanistan, but failed to conquer India. The army was met by Jains, some of them naked, following their belief in renunciation of materials. Jains believe that all things in the universe, animate and inanimate, have a spirit, and therefore must be respected. From this arises the concept of ahimsa which roughly translated means ‘non-violence’ (it’s interesting that we in the west do not have a single word that encapsulates that concept, only a clumsy negative). Ghandi capitalised on this tradition in the struggle for liberation and independence. But the example of Alexander’s men, all brawn and rippling muscle, with hours of killing behind them up against the calmness of ahimsa seems aptly to reflect on a modern world where the national materialism of the west is up against the fragile spiritual walls of the east, and as we see much of India open up to the trappings of the west and become a superpower, much of that original spiritual history is still evident in the background – there are still many rishis, sadhus and other holy people, including many women, struggling to keep the core of ahimsa alive and evident. I know of no other country in the past or the present that has upheld the idea of non-violence as the central value of day-to-day living, and as someone born on the same day of the year as Ghandi, it never ceases to impress me. Rich then, in my new novel LEMON SEAS brings narrow vision and blurred thinking from his background; this is contrasted by a culture where individuals like the yoga teacher Aarti are keeping a candle alive in a world dominated by gizmos and a desire for individual ownership. Lakshya, the police chief is struggling to manage the chaos and survive, and failing – as anyone would. Whereas Lalima the teenage dancer is also in touch naturally with her historical spiritual background through her desire to dance. (Siva, the Hindu god, dances to the rhythm of the universe.) But it’s at the ancient site of carvings that characters are confronted with themselves, their past and moved towards change, some moving faster than others, some not changing. The Buddha said: ‘There is only one certainty – that is change.’ Rich must confront his demons, give in and be moved by his experiences, for this is the path of spiritual growth and maturity, and this is how we evolve as individuals, and that personal evolution is fed into the global evolution of humanity. Next week in LINDSAY’S STORY, writer and speech therapist Lindsay Bamfield talks about passing on voice skills and organising literary festivals. What an interesting article. Interesting to have the book set in a historical context, understanding more about the country…. Thanks! I’ve tried to spark up Lemon Seas with colourful imagery as a backdrop to a pacy story-line – India’s colours, sights, sounds and smells. This along with historical perspectives contribute to a narrative which I hope to be appealing to the reader wanting to absorb something of India, but in particular, south Goa.